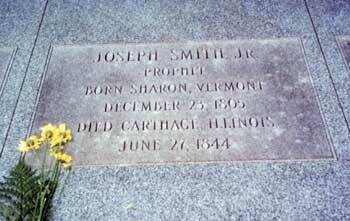 On 27 June 1844 Mormonism’s founding prophet, Joseph Smith, was killed. Much has been written about the death of Joseph Smith, accounts written from every perspective imaginable. In 1994 historian D. Michael Quinn, a former BYU professor and former Mormon, published The Mormon Hierarchy: Origins of Power. In this book, Dr. Quinn carefully documented the political tinderbox in Nauvoo, Illinois which led to the death of the Prophet. This led to the publication of the Nauvoo Expositor, a dissenter newspaper that threatened to expose Joseph Smith’s political ambitions. The Prophet, as mayor of Nauvoo, led the city council in declaring the newspaper a “public nuisance” for which it was quickly destroyed. This entry was posted in Joseph Smith, Mormon History. Bookmark the permalink. Although the Nauvoo City Council’s decision to shut down and destroy the Nauvoo Expositor newspaper was regrettable and certainly ill-advised (the decision was taken after lengthy and contentious deliberations and debate), it does not justify murder by a vigilante mob. Numerous articles have shown that treason claims against Joseph Smith were spurious. The selection from Quinn is interesting. The “three prisoners” mentioned were Joseph Smith’s fellow prisoners, Hyrum Smith, John Taylor, and Willard Richards. Rather, it seemed relevant to note how this post at this time could be received. I’m afraid you have your fact wrong again. While Joseph did have a small pistol with him for self-defense against the mob, it misfired when he was attacked by the mob so this claim that he shot and killed two people is simply false. But even if it had worked, killing someone in self defense is not murder. moderator — why so worried the marketing advice John F. gave you on this post about the murder of Joseph Smith at the hands of a lawless mob? Moderator’s note: Not worried, just enforcing Mormon Coffee’s comment policies. After the mob fired a shot through the door that killed his brother Hyrum, Joseph Smith reached around the door and emptied three balls at point blank range into the attacking crowd. Three people were wounded. Even if Joseph Smith had killed some of the attackers, killing in self-defense is not murder now and it certainly wasn’t in 1844. Shooting at a mob attempting to lynch you falls into this category as a matter of law. This is true even if, as some allege, Joseph Smith opened fire upon the mob before they shot and killed Hyrum. Latter-day Saints do not believe that murder cannot be forgiven. LDS Apostle Boyd K. Packer has recently reiterated the commonly-held LDS view that there is not sin too heinous for which one cannot receive complete forgiveness through the Atonement of Jesus Christ, with the single exception of denying the Holy Ghost. This is a belief that Latter-day Saints hold in common with most creedal Christians (although perhaps not all of them — I am not clear on the Catholic position on this question). Smith, Taylor, and Richards attempted to defend themselves. Taylor and Richards attempted to use walking sticks in order to deflect the guns as they were thrust inside the cell, from behind the door. Smith used a small pepper-box pistol that Cyrus Wheelock gave him when Wheelock had visited the jail earlier that day. Three of the six barrels misfired. Taylor later stated he had been informed that two assailants had died of wounds received from the pistol; however, witnesses identified three injured men who survived and were later indicted for the murder of Joseph Smith. Does anyone here have Rough Stone Rolling nearby? If so, could someone transcribe into a comment the last paragraph of the last chapter? I believe it talks about the masonic cry of distress. So john, Did you and the Apostle Boyd Not read this? I saw what John F’s comments were at the top of this thread before you deleted them. There was no reasonable reason they should have been deleted here. It is apparently becoming increasing more and more difficult to comment here. We all know that it is much, much, much easier to fire off critisicms and questions than it is to provide coherent answers and responses- regardless of what the topic is. Now, not only is there a limited word count but your “policeing” of the comments and posts is in my opinion becomeing increasingly suspecious. While mormoncofeee has never been a level playing field i fear now that the slant is is increasing to an extreme that smells a bit dubious. Policeing posts as you have recently chose to do is a very sticky and suspect activity. I seriously doubt anyone here could pocess the objectivity needed to really dole out that sort of censorship in a way that is fair to all. Then again perhaps the real obective of such a “confrontational evangelisim” site like this is to try to get Mormons to just see what your criticisms are without really being able to fully respond. Joseph Fielding Smith and Bruce R. McKonkie believed that murder was a form of denying the Holy Ghost, which the Bible mentions is the unpardonable sin (e.g. Matthew 12:31-32). For them, D&C 42:18 supported this view. The blasphemy against the Holy Ghost, which shall not be forgiven in the world nor out of the world, is in that ye commit murder wherein ye shed innocent blood, and assent unto my death, after ye have received my new and everlasting covenant, saith the Lord God; and he that abideth not this law can in nowise enter into my glory, but shall be damned, saith the Lord. This verse suggests that when murder is accompanied by “assent[ing] to [Jesus’] death, after ye have received [Jesus’] new and everlasting covenant [i.e. temple sealing]”, then it will not be forgiven in the world to come. It is fair to say that among Latter-day Saints, the jury is still out on whether those who murder innocent blood can be forgiven in the hereafter. Suffice it to say that Latter-day Saints believe that Jesus’ Atonement is powerful enough to grant forgiveness of such an act, but understand that God might not desire to apply the atoning blood of Jesus to this particular sin. Whatever the ultimate answer is about murder, Latter-day Saints are well advised not to murder any innocent person in cold blood. Fortunately, shooting mobbers who are attacking you does not fall into this category. I know this is off topic, but I would like to address Inhim and what he said. I have posted many times on Faidlds, It is not official Church website, but it should be called unfairLDS. The LDS are big on cencership and policing people they dont like. Plus if your honest with your self and this blog, you will see that both sides LDS and others were getting angry about all sorts of stuff and getting seriously off topic, I know I was guilty of getting off topic. Perhaps a wise option here would be to re-post John F’s remarks with commentary from your end as to why you removed them in the first place. Seeing as this is the first time (to my recollection) that someone (inhimdependent_lds) has taken issue with your moderation, there should be no harm in outlining publicly just what you specifically found objectionable in John’s post. If anything, this will remove anyone else’s “suspicions” over recent (and future) displays of appropriate censorship. Yes, I agree with Alex D. I know censorship is your right but it does seem a bit one-sided in this instance. On June 26th our comment policy was outlined here. Because of the deteriorating tone of some of the on-going conversations, we alerted all readers of our intention to begin to more actively moderate comments in order to bring the discussions on Mormon Coffee back to thoughtful, respectful levels. Our goal here is to provide a forum in which people holding differing points of view may freely discuss and argue their convictions. It is a diversity of opinion that makes these discussions interesting; we fully support and welcome people contending for what they believe to be true, whatever that may be. What we do not welcome or support is any attitude of disrespect expressed in readers’ comments including, but not limited to, things such as name-calling, personal accusations regarding intent or motive, and the attacking of a person’s character rather than dealing with the positions they maintain. The moderators at Mormon Coffee have not and will not silence any discussion of on-topic issues, but we will not tolerate personal insults, ridicule or any other disrespectful language — from anyone. Please direct any continuing concerns regarding comment moderation to the moderators via email at blog[at]mrm[dot]org. “Hyrum was the first to fall. A ball through the door struck him on the left side of the nose, throwing him to the floor. Three more balls entered his thigh, torso, and shin, killing him. John Taylor was hit in the thigh and fell against the windowsill, breaking his watch. Crawling toward the bed, he was struck again in the hip. Joseph pulled the trigger six times into the hall, dropped the pistol on the floor, and sprang to the window. With one leg over the sill, he raised his arms in the Masonic sign of distress. A ball from the doorway struck his hip, and a shot from the outside entered his chest. Another hit the heart and a fourth his collarbone. He fell outward crying, ‘O Lord my God!’ Landing on his left side, he struggled to sit up against the curb of a well and died within seconds. Richards raised his head above the sill far enough to see that Joseph was dead and then turned to help John Taylor. Taylor’s watch had stopped at sixteen minutes past five” (Richard L. Bushman, Joseph Smith: Rough Stone Rolling, p.550). I don’t think Joseph Smith’s killing of two men can be so easily chalked up as murder. He was defending himself against vigilante justice. By the way, thanks Bill for posting that excerpt. John F., isn’t it a bit of an understatement to call the destruction of the Expositor “regrettable and certainly ill-advised”? I’ve always been uncomfortable with the sort of language Mormons use to describe Joseph’s actions, as if they were a sort of mere “oops”. My choosing to not dialog with you has nothing to do with whether i “like” you or not. I never said that i do not like you- you just made that up. Aaron said I don’t think Joseph Smith’s killing of two men can be so easily chalked up as murder. He was defending himself against vigilante justice. I am all for self defence, I happen to play judo and do Ju-jitsu. In other words, submission style fighting. But I believe in the case of Joseph it was murder, this is why. rick b: He was not killed in Cold blood, he fought back and tried to escape. Are you really saying that anyone who fights back and tries to escape is not a murder victim? So all the men, women and children who have ever been viciously murdered are not murder victims in your eyes if they tried to fight back or escape? Surely you can see that such a claim is just ridiculous. As for you comparing Joseph to Jesus Christ… What mortal — even prophet — would look good in such a comparison? In other words Saying Joseph was not as Godlike as Jesus Christ sort of goes without saying doesn’t it? Rick, I’m not a fan of Joseph Smith, but I don’t really follow your logic. Even having falsely described himself as a lamb being led to the slaughter (with an obvious allusion to innocent lamb Jesus Christ), it still doesn’t take away from the fact that the mob was exercising murderous vigilante justice and Joseph was practicing self-defense. Rick was only saying that the D&C refers to Joseph Smith’s murder in the same terms as the Bible refers to Jesus’ crucifixion (i.e. a “lamb led to the slaughter”). The irony of the statement, however, is that the lamb has no way of defending itself from its attackers. We see the lamb used universally as a symbol of innocence, purity, etc etc… to place that characterization toward Jesus is, needless to say, fitting, for he NEVER fought back and forgave his aggressors. On the other hand, Joseph Smith (unlawfully, mind you) was smuggled a pistol by Cyrus Wheelock in order to defend against the lynch mob. Alex D.: The irony of the statement, however, is that the lamb has no way of defending itself from its attackers. First, I can say with some confidence that a sheep does fight and kick and bite and try to escape when a human or a wolf is trying to kill it. So if you are saying that fighting back and trying to escape is not lamb-like I think you are mistaken. The point of that passage by John Taylor was to show that rather than fleeing to the West as they could have, Joseph and Hyrum willingly submitted themselves to the corrupt authorities knowing full well that they were likely to be murdered as a result. And as he predicted Joseph was indeed murdered like so many prophets before him were. Did my response to Alex get deleted or is it just in moderation? Moderator’s note: All is well — sorry for the delay in moderation. John Taylor later recounted that he had heard that two of the men who Joseph Smith wounded with his pistol later died from the wounds. In other words, it is through John Taylor’s reliance on an undetermined degree of hearsay (second-hand, third-hand, fourth-hand, sixtieth-hand?) that anyone thinks that Joseph Smith’s shots even killed anyone. 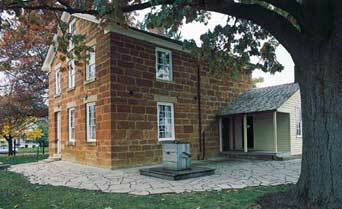 On the other hand, three men who were wounded by Joseph Smith’s pistol faced charges for their part in the lynching. Joseph Smith’s pistol only discharged three balls. Thus, the evidence weighs in favor of the fact that Joseph Smith actually did not kill anyone that day. This is, however, entirely irrelevant to any aspect of the lynching of Joseph Smith. “Regrettable” and “ill-advised” seem appropriate terms to describe the Nauvoo City Council’s decision to outlaw libel and Joseph Smith’s signature as mayor, based on this resolution, to close down the Expositor as a public nuisance, resulting in the destruction of the press. “Illegal” very likely cannot be used to describe these actions in 1844. In any event, even if the Nauvoo City Council’s decision — taken according to the legal procedures and process governing in 1844 — that resulted in the destruction of a newspaper was entirely illegal, it does not justify murdering the mayor. The murder of Joseph Smith and his brother was a vigilante lynching for which no justification exists under any conceivable interpretation of any law or frontier justice existing either in 1844, now, or at any time since the birth of the United States of America. SHALL DIE INNOCENT, AND IT SHALL YET BE SAID OF ME—HE WAS MURDERED IN COLD BLOOD… He was not Innocent just undeserving of the death he received. Can someone till me how a trickster, drinking smoking womanizer self proclaim holy man with God complex can be talk about as if he was Christ. john f, would you like to list for us the “libel” committed by the Nauvoo Expositor? Good question. Perhaps Bushman addresses it in Rough Stone Rolling. john f., please get back to us when you find something. I haven’t read the Expositor issue in awhile, but from what I remember its basic claims were correct. It seems the intention is for me to defend the substance of the Nauvoo City Council’s decision that the Expositor’s material constituted libel. However, as noted above, I have already stated my view that the decision was ill-advised and regrettable. Whether material in the Expositor in fact was libellous or not does not change the fact that the murder of Joseph Smith was illegal, immoral, unjustified, and despicably cowardly. John F., of course Joseph’s murder was still illegal either way. You showing us whether the Expositor was libelous or not won’t change that. If I were Mormon, I too wouldn’t want to try to defend “the substance of the Nauvoo City Council’s decision that the Expositor’s material constituted libel”. For one thing, it’s embarrassing that while Smith at the time vehemently claimed he had only one wife, he actually had over 30, and had been propositioning the wives of other men. Ok guys, Seems like I was correct, No one seems to agree with my position except Alex D, He understood what I was saying, He seemed to sum it up really good. So let me say again, I believe Joseph Smith is a murderer Because of how he compared His death to the death of Jesus, If he did not say that I would not take issue with it. Here is what the Bible says about the death of Jesus. Was that How Joseph Smith went out? Not according to History of the Church. Now, In History of the Church Vol 6, Joseph Smith is praised for his part in the gunfight and it was said about him he put up a handsome fight. If any one who does not agree with my position of JS being a murderer, Then please tell me, is the LDS view of Joseph Smith going out like a lamb correct? If so, how did you come to that conclusion? I see English words here but I can’t figure out how this sentence is coherent. How on earth could simply saying “I am going like a lamb to the slaughter” make some one a murderer? Geoff, Did you read the verses I quoted about how Jesus died? He did not fight back, He willingly laid down His life, Joseph Claims he went to his death just like Jesus did, yet we know he did not. That is my point. Right rick. We all agree that Jesus is a lot more godlike than Joseph Smith was (seeing as how Jesus is God and all). We all agree that Joseph fought back and tried to escape from the vicious and murderous mob that attacked him and his associates. There is no controversy there. It was that other bizarre stuff you were saying (including a nonsensical definition of the word “murderer”) that I am baffled about. Again, there is no proof that Joseph Smith even killed any of his attackers, let alone that he was a murderer — the claim that he might have killed some of his attackers is based on unlikely hearsay. Well Geoff, I guess we will not agree. Jesus did not have someone slip him a weapon so he could fight back, Like with Joseph. then add to that Joseph Smith tried to run away by jumping out the window, I dont recall Jesus running out of the garden, I do recall Jesus standing His ground until they took him away. How Jesus died has absolutely nothing to do with the specific question of whether Joseph Smith was a murderer or not. He wasn’t — check the definition of he word murder again if you need more evidence. Even if he did kill two of his attackers he wasn’t a murderer based on the definition of the word. I suppose if you want to create your own personal definition of the word “murder” then all I can say is knock yourself out with that I guess. But for the rest of us English speakers the word murder already has an established definition and that word does not apply to people fighting for their lives in self defense. Geoff, I find it funny, you tell me I am changing the definition of a word, Like Mormons have NEVER done that. Look at the word eternal. How could God be ETERNAL, From the beginning, the Alpha and Omega. Here is the Definition of Eternal: 1. without beginning or end; lasting forever; always existing (opposed to temporal): eternal life. It seems everything being posted is based on “your definition of so and so”.. so, maybe we should just operate on the majority’s definition.. Majority would say no, Joseph Smith was not a murderer because he didn’t “unlawfully” kill those people. On the other side, the people that killed Joseph Smith were murderer’s because they committed that act unlawfully. Majority would say no, Joseph Smith did not go as a lamb led to slaughter. Majority would say no, Joseph Smith did not go quietly to his death. Majority would agree that a lamb led to slaughter means that a defenseless being was killed. (An example is I can squish ant with my shoe and not be hurt, even though an ant can bite and it does actually hurt (depending on the size of the ant). Yes, a lamb can bite and kick, but when being led to a slaughter, they are considered defenseless. I mean, I can wear a t-shirt that would protect me mostly from being scratched by someone, but to a bullet, that T-shirt is nothing..) Joseph Smith however had a gun, just like his enemy’s, and supposedly shot someone just as they shot him. He didn’t go quietly, because firing rounds at a group of people is different from standing there and taking it. Sorry guys about my confusing post on the issue of Eternal and LDS changing the Definitions of words. Their is No preview button and I dont want to post back to back and break the rules.